Polysafe temporary concrete barriers are the perfect solution for a huge range of applications thanks to the variety of shapes and sizes they are available in. One of the more unusual uses for our concrete barriers is for vehicle testing and Polysafe concrete blocks have been used by clients from a variety of different backgrounds. One of the main applications for concrete barriers when it comes to vehicles is brake testing for lorries during their MOT or during maintenance tests. For years, companies used pallets of scrap cylinders as truck ballast. Concrete blocks provide a much more practical solution as they are much easier to load and stack on the vehicle. 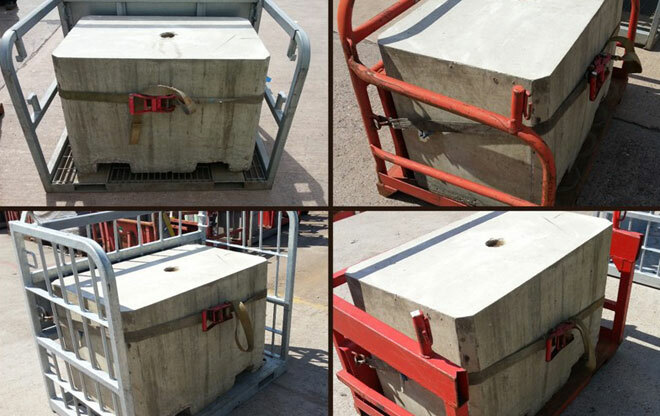 Polysafe offer a range of rectangular concrete barriers that are ideal for this application and we recently supplied blocks for maintenance testing as ballast weights to BOC UK & Ireland delivery vehicles, which have now been successfully rolled out to depots all around the UK. Polysafe precast blocks can also be used for other types of vehicle testing. Apart from MOT testing, Polysafe has also delivered a range of blocks to clients in order to assess vehicles performances on different surfaces. For example, temporary concrete barriers were supplied to Lockheed Martin - a security and defence company. 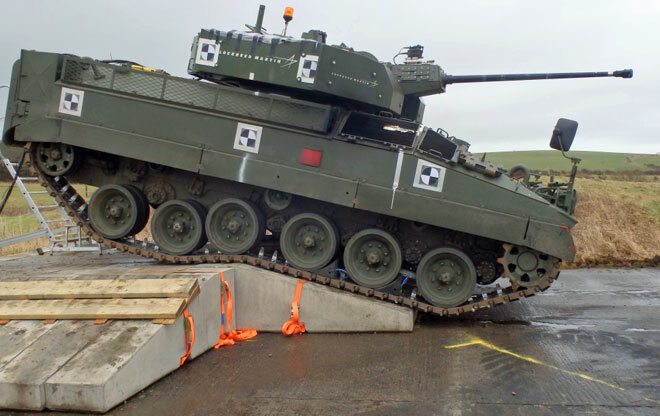 The concrete blocks were used to create a raised surface to undertake testing of military vehicles on different angles to assess their capabilities. As a pre-cast concrete company, we are used to supplying blocks made to client specifications so it was no problem to provide a range of straight and sloped variations to test the vehicles. Initially, Lockheed Martin only hired concrete barriers to use for a short period. However, after seeing how durable the blocks were, they decided to purchase them outright. If you have a specific requirement, please call 01778 560555 or visit our contact page.